If you have an outdated ear horn of a hearing aid, it’s time to replace it. It’s often tough to recognize whether your hearing aids actually should be upgraded. Your hearing aids seem like they still work, right? Can you believe they are more than 10 years old? Do you think that your old hearing aids are good enough? Ask yourself “what is the actual cost”? We have made many huge advancements in hearing aid development in last few years. 10 years ago many modern features weren’t even in design phases. Since then we’ve moved from analog to digital, to begin with. 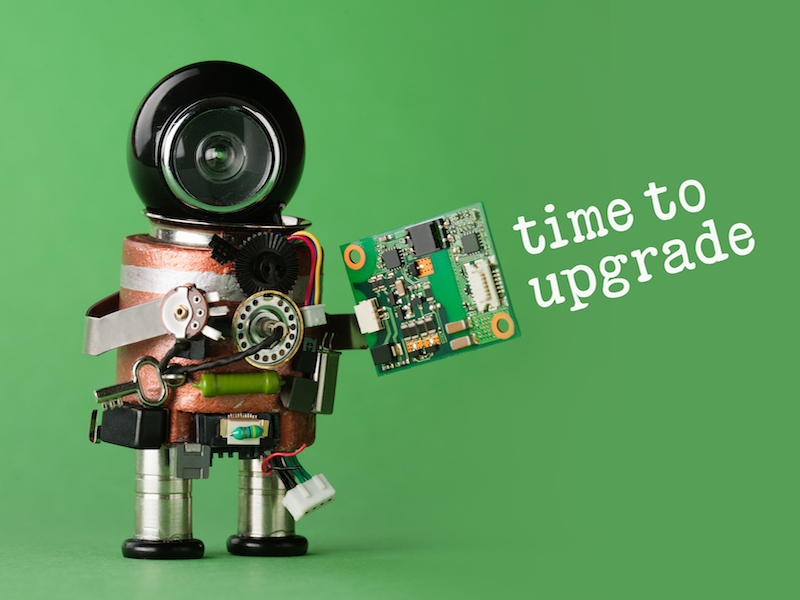 It’s absolutely time to think about an upgrade. Think about some reasons why. Out of date or even cheap hearing aids come with several problems including that annoying buzzing you hear every now and then. And what about that feedback whenever you go anywhere near a phone, that’s enjoyable. Often times that harsh feedback comes all of a sudden with no explanation, too. “What now”? You’ve become accustomed to sitting off to the side in silent introspection while everyone else is engaging in the banter. How about the time when your hearing aids wouldn’t stop quitting while your grandson was singing a little song he practiced at school. You had to pretend that you heard it but you didn’t. If you don’t upgrade to new hearing aids, you will keep having all of these issues. With the past generation technology, we simply cranked up the volume. Today, hearing aids perform awesome tasks like filtering out background noise. So say goodbye to that air conditioner noise. It was not even that loud. The cost is only one off several considerations when buying new hearing aids. Wearing old dated hearing aids won’t be any cheaper than purchasing new ones ultimately. Out of date devices are analog and that means that it’s time to replace batteries constantly. When you are changing the battery every day, or even more frequently than that, the cost adds up. Old hearing aids break on a regular basis and require repair service. You can compare it to an old car. It’s in the repair shop more than it is in your ear and repairs are not cheap. Studies show that hearing loss could mean a smaller pay-rate. Who wouldn’t want an asset to their career? Better hearing aids are that asset. You will be able to hear your boss and customers better. No more worry over whether you lost crucial information, or whether your hearing aids will quit at the worst time. Of course, stronger communication means a better quality of life, also. You don’t have to sit alone like a wallflower during discussions anymore. Go ahead and interact freely now that you can hear. When you glance in the mirror at your out of date hearing aid, what comes to mind? Clunky? Obvious? Seriously?? One of the most important advantages that come with replacing old hearing aids is stylishness and flexibility. Current hearing aids come in a variety of shapes, sizes, and colors. It’s possible to have one concealed so tight into your ear, that no one will ever see it, or you can make a fashion statement by getting a visible hearing aid in your favorite color. Your ability to hear has changed. you’re not hearing as well as you once did even with the hearing aid in your ear. Your lifestyle has changed, and your hearing aid has a tough time keeping up. It’s annoying to remove it just so you can talk on the phone, or maybe you’ve changed jobs and now you need to cope with more background noise. Your hearing aid keeps cutting out. It just isn’t reliable anymore, and that’s a big concern. You know for sure that your hearing aid is analog. Ouch, go digital fast. You are changing the batteries every day. Modern hearing aids are much more energy efficient and have rechargeable batteries.